Dr Chua Horng Ruey obtained his Bachelor of Medicine and Surgery in Jul 2001 and his Master of Medicine (Internal Medicine) in July 2008, both from the National University of Singapore. 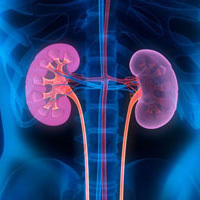 He is a certified Specialist in Renal Medicine, appointed by the Singapore Medical Council in June 2011. Dr Chua was appointed to be on the Specialists Accreditation Board, Ministry of Health in June 2011. Since July 2007, Dr Chua has been a member of the Royal College of Physicians.